One Health has contributions from international authors in the fields of veterinary and animal science, epidemiology, environmental science, tropical medicine and public health, synergizing the central elements of current OH research and practice in one broad-ranging volume. This book includes extensive information about zoonotic diseases with discussions of diseases of wildlife, farm animals, domestic pets and humans. 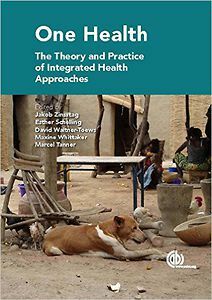 Also covered are real-world considerations-sanitation, economics, food security and evaluating the success of vaccination programs.One Health also discusses approaches to putting OH policy into practice and positive aspects of OH including the human-animal bond. Case studies are widely used throughout, as well as textbox summaries, best practice examples and emergency protocols.